Married to Eliana…has 4 kids: Kelly, Mahienson, Keyden and Keycha...Started switch-hitting at 16 to expand his versatility since he wasn't a power hitter. Established career highs in virtually all offensive categories, including games (153), slugging pct. (.437), OPS (.768), hits (135), total bases (227), doubles (26), triples (12), homers (14), extra-base hits (52) and RBI (59)...Appeared in 131 games at second base and 28 at shortstop... Led the Majors with 12 triples, the first D-back to do so outright (Chris Owings' 11 triples tied for the lead in 2016)... Opened the season by not committing an error in his first 219 total chances, the second-best streak to start a season by a D-backs second baseman or shortstop (235 by Jean Segura in 2016)...Became the sixth player in club history to homer from both sides of the plate on June 1 vs. Marlins, also his first career multi-homer game...Signed a 5-year contract with 2 club options on March 27. Appeared in 119 games with Seattle in his fi rst full Major League season, batting .259 (113-for-437) with 21 doubles, 1 home run and 33 RBI...Joined Brandon Crawford as the only 2 players with 2 bases loaded triples in the season...Set a career high with 4 hits on May 9 vs. Rays and June 20 @ Tigers...Hit safely in 18 of 22 games from April 21-May 14, batting .337 (31-for-92) with 7 doubles, 12 RBI and 15 runs scored...On the disabled list from May 22-June 6 (sprained left thumb) and July 20-Aug. 9 (mononucleosis). MLB Totals - Hit .283 (62x219) with 25 runs, 14 doubles, 3 triples, 2 home runs, 17 RBI, 24 walks, 8 steals and a .351 on-base percentage in 57 games. ... Defensively - Appeared defensively in 57 games (54 starts) at shortstop (51 G, 49 GS), second base (4 G, 3 GS) and center field (2 G, 2 GS); exclusively at shortstop Aug. 15 on. ... Getting Comfortable - Hit .293 (53x181) with 22 runs, 14 doubles, 3 triples, 2 home runs, 16 RBI, 17 walks and a .350 on-base percentage in his final 45 games…hit .237 (9x38) with 3 runs and 1 RBI in his first 12 games. ... On-Base - His .351 on-base percentage is the 4th-best by a rookie in club history (min. 200 PA)…only Alvin Davis (.391 in 1984), Ichiro Suzuki (.381 in 2001) & Phil Bradley (.373 in 1984) posted better rookie on-base percentages than Marte. ... Extras - Had 19 extra-base hits in final 45 games…no extra-base hits in first 12 games. ... Streaking - Had 12-game hitting streak Sept. 10-24, hitting .396 (19x48) with 6 runs, 5 doubles, 2 triples, 6 RBI and 6 walks…the streak was 10th-longest by a shortstop in club history and longest since Yuniesky Betancourt set club record with 20 straight in 2007. ... Streaks - Had 3 hit streaks of 5+ games: 12 (Sept. 10-24), 7 (Aug. 14-21) & 5 (Sept. 2-7). ... Double The Fun - Reached base 2+ times in a game 30 times in his 57 games including a streak of 10 straight games Sept. 13-24, which was the longest by a Mariners player since Justin Smoak reached base 2+ times in 12 straight Sept. 26, 2010-April 4, 2011. ... Lots of HIts - Recorded 62 hits in 57 games (1.088 H/G)...the 8th Mariners rookie to average a hit per game (min. 50 G), joining Alvin Davis (1984, 161 hits in 152 G), Danny Tartabull (1986, 138 hits in 137 G), Ichiro Suzuki (2001, 242 hits in 157 G), Kenji Johjima (2006, 147 hits in 144 G), Dustin Ackley (2011, 91 hits in 90 G), Mike Carp (2011, 80 hits in 79 G) and Brad Miller (2013, 87 H in 76 G). ... MLB Firsts - Made MLB debut as starting second baseman on July 31…first Major League hit Aug. 1 vs. Twins Kyle Gibson in Minnesota, infield hit to shortstop in 5th inning. ... AAA Recap - Hit safely in 50 of 65 games with AAA Tacoma, hitting .314 (82x261) with 41 runs, 12 doubles, 2 triples, 3 home runs, 29 RBI, 20 walks and 20 steals (T13th in PCL). ... Injury - Fractured his left thumb on May 31 vs. Round Rock and was on the DL June 1-July 9…appeared in 1 game with AZL Mariners July 8 vs. AZL Royals (2x3, R) on rehab assignment before being activated and transferred to AA Jackson for 2 games, July 9-10. ... At Time of Injury - At time of injury (through May 31), led PCL in average (.343), games (51), hits (68), 2nd in steals (17) and at-bats (198), 3rd in lowest TPA/SO ratio (11.05). ... Streaking - Recorded career-high 15-game hit streak, batting .422 (27x64) with 10 runs, 5 doubles, 7 RBI, 1 walk and 7 stolen bases, April 24-May 9…T14th-longest in the PCL. ... Futures Game - Member of the World Team in the MLB Futures Game, going 2-for-2 with 1 RBI playing 2B and batting in the leadoff position. ... PCL All-Star - Named to the PCL All-Star team, going 0-for-2 as the starting shortstop. Hit .304 (159x523) with 79 runs scored, 42 extra-base hits, 55 RBI and 29 stolen bases in 128 games combined between Jackson and Tacoma... Set career-highs in various offensive categories, including games, at-bats, hits, doubles, home runs, RBI, walks & steals, while tying high in triples & runs scored... Combined for 43 multi-hit games, including 2 season-high 4 hit games: April 11 vs. Mississippi (4x5, R) and May 11 vs. Tennessee (4x6, 2 R, 2B, RBI, 2 SB)... Season-high 4 RBI on May 15 vs. Montgomery (2x4, 2 R, 2B, 3B, 4 RBI)... Recorded 3 hitting streaks of at least 10 games, including a season-high 13-game hit streak from May 25-June 7 (.333/19x57, 9 R, 5 2B, 3B, 8 RBI, BB, 2 SB)... Named North Division All-Star & Southern League Post-Season All-Star team... At time of promotion to Tacoma on Aug. 10, was the league-leader in hits (134)... Went 2-for-5 in AAA debut on Aug. 11 vs. Fresno…overall hit safely in16 of 19 games with Tacoma as the third-youngest player in the Paciﬁc Coast League. August 4, 2017 Arizona Diamondbacks activated 2B Ketel Marte from the bereavement list. July 31, 2017 Arizona Diamondbacks placed SS Ketel Marte on the bereavement list. June 28, 2017 Arizona Diamondbacks recalled SS Ketel Marte from Reno Aces. March 28, 2017 Arizona Diamondbacks optioned SS Ketel Marte to Reno Aces. 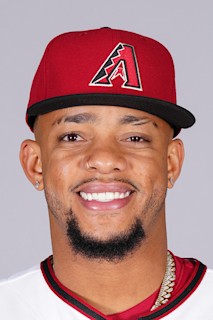 January 2, 2017 SS Ketel Marte assigned to Gigantes del Cibao. November 23, 2016 Seattle Mariners traded SS Ketel Marte and RHP Taijuan Walker to Arizona Diamondbacks for SS Jean Segura, CF Mitch Haniger and LHP Zac Curtis. August 9, 2016 Seattle Mariners activated SS Ketel Marte from the 15-day disabled list. August 7, 2016 Seattle Mariners sent SS Ketel Marte on a rehab assignment to Tacoma Rainiers. August 4, 2016 Seattle Mariners sent SS Ketel Marte on a rehab assignment to Everett AquaSox. August 4, 2016 SS Ketel Marte roster status changed by Everett AquaSox. July 23, 2016 Seattle Mariners placed SS Ketel Marte on the 15-day disabled list retroactive to July 20, 2016. Mononucleosis. June 6, 2016 Seattle Mariners activated SS Ketel Marte from the 15-day disabled list. May 31, 2016 Seattle Mariners sent SS Ketel Marte on a rehab assignment to Tacoma Rainiers. May 22, 2016 Seattle Mariners placed SS Ketel Marte on the 15-day disabled list. Sprained left thumb. November 8, 2015 SS Ketel Marte assigned to Gigantes del Cibao. July 31, 2015 Seattle Mariners recalled SS Ketel Marte from Tacoma Rainiers. July 14, 2015 SS Ketel Marte assigned to Tacoma Rainiers from Jackson Generals. July 11, 2015 Jackson Generals placed SS Ketel Marte on the temporarily inactive list. July 9, 2015 SS Ketel Marte assigned to Jackson Generals from Tacoma Rainiers. July 8, 2015 Tacoma Rainiers sent SS Ketel Marte on a rehab assignment to AZL Mariners. June 3, 2015 Tacoma Rainiers placed SS Ketel Marte on the 7-day disabled list. March 20, 2015 Seattle Mariners optioned SS Ketel Marte to Tacoma Rainiers. November 20, 2014 Seattle Mariners selected the contract of Ketel Marte from Tacoma Rainiers. August 10, 2014 SS Ketel Marte assigned to Tacoma Rainiers from Jackson Generals. April 1, 2014 SS Ketel Marte assigned to Jackson Generals from High Desert Mavericks. March 3, 2014 SS Ketel Marte assigned to Seattle Mariners. November 11, 2013 SS Ketel Marte assigned to Gigantes del Cibao. August 12, 2013 SS Ketel Marte assigned to High Desert Mavericks from Clinton LumberKings. April 3, 2013 Ketel Marte assigned to Clinton LumberKings from Everett AquaSox. March 7, 2013 SS Ketel Marte assigned to Seattle Mariners. June 13, 2012 Ketel Marte assigned to Everett AquaSox from AZL Mariners. May 25, 2012 Ketel Marte assigned to AZL Mariners from Clinton LumberKings. May 18, 2012 Ketel Marte assigned to Clinton LumberKings from DSL Mariners. April 2, 2012 SS Ketel Marte assigned to Seattle Mariners. May 28, 2011 Ketel Marte assigned to DSL Mariners from Seattle Mariners. May 27, 2011 Seattle Mariners signed SS Ketel Marte.